For all women, getting married is the most important moment in their life. That is just the reason why women always want to be perfect in every detail on the wedding. As one of the most important things about the wedding, bridal gowns are second to none for every bride-to-be to select carefully. If your big day is coming and you are searching for the most gorgeous wedding dress, it is wise to stay here and check out what we’ve prepared for you. At the 2016 Bridal Week, so many beautiful wedding gowns have been shown. Now,we share them with you and you may know which your favorite style is so that you know what to choose when you are buying your owns. Scroll down and enjoy! This is an elegant collection made with materials which are of the highest quality. Oscar de la Renta’s this collection is sure to be as successful as the previous one. 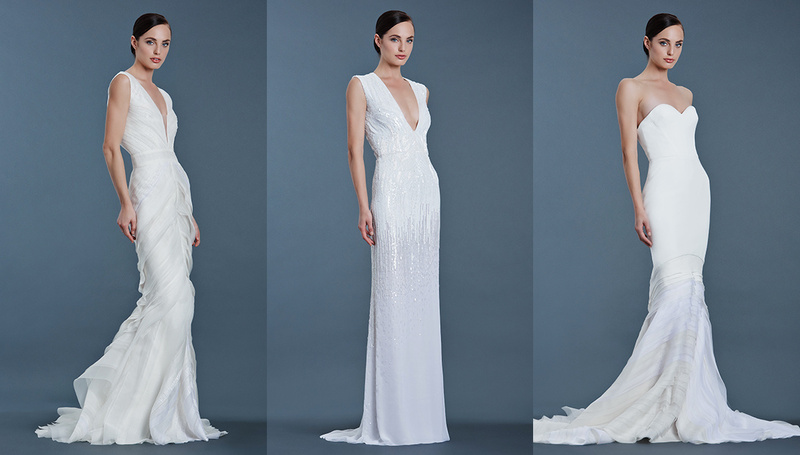 With some vintage vibes, Mark Badgley and James Mischka present such a bridal collection which is a timeless style on the Hollywood red carpet. 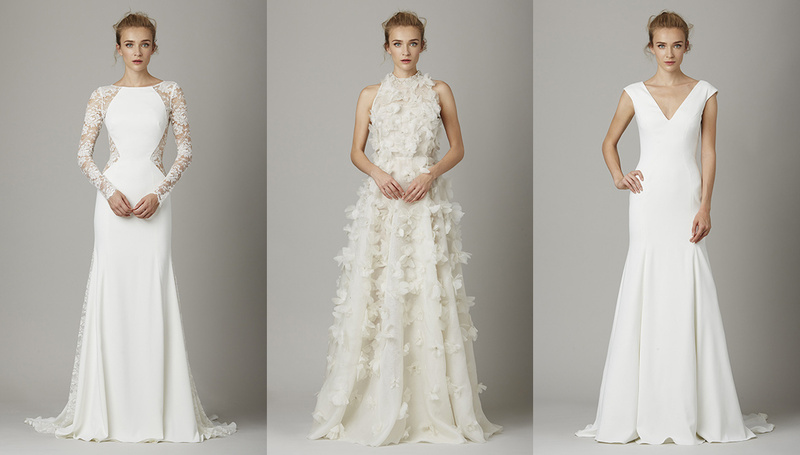 The latest bridal collection by Sophia Kokosalki is full of romance and delicacy. This collection is designed for Bohemian brides, yet it’s a mixed style of American fashion and British inspiration. 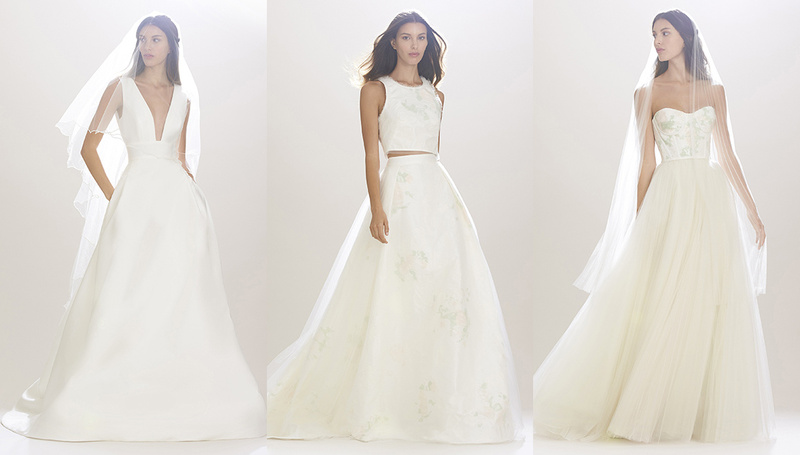 Vera Wang got inspiration from the matadors and flamenco dancers for her latest wedding dress collection. The embroided details as well as the mermaid cut make her collection much more outstanding. This is a stylish collection which is mainly about simple cuts and plain pieces. Yet, they allow the brides to move freely because they can be transformed to shorter dresses. 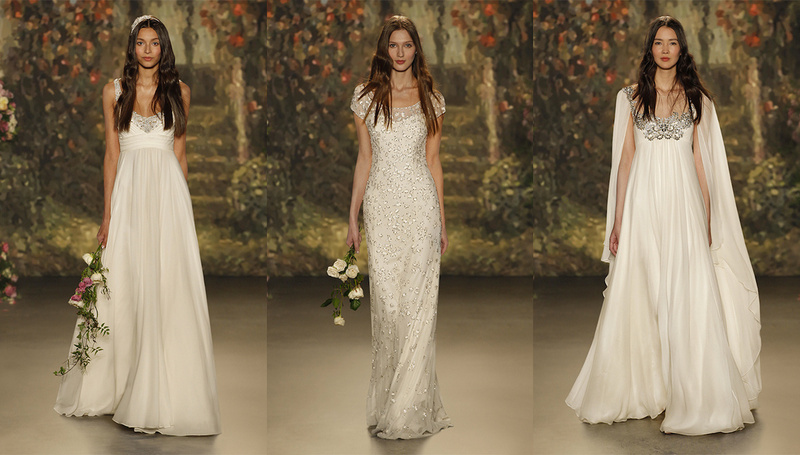 Sprinkled sequins, rural details and romantic profiles are what make this wedding dress collection successful. 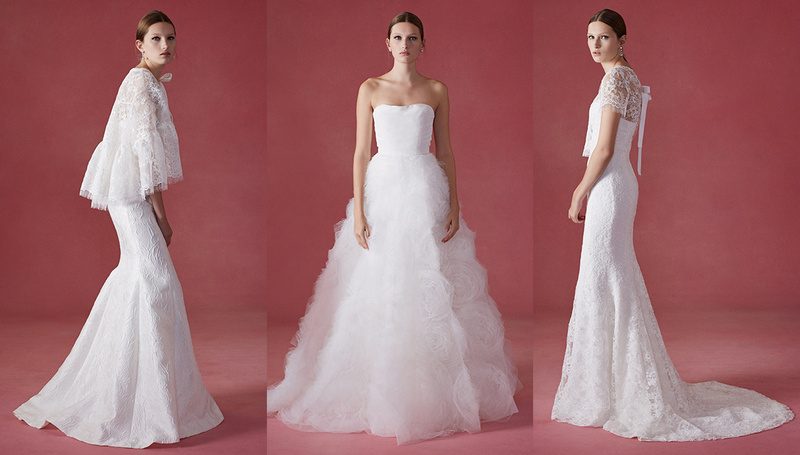 The delicate lace and fine organza present a breezy boho-chic bridal collection. They are just fairy and romatic! This is an exquisite collection with gorgeous details for the brides to show their feminine charm to the world. Carolina Herrera’s latest collection shows how to combine the classic models with modern designs. You can see so many gorgeous elements in her collection, such as plunging necklines and pastel bustiers. 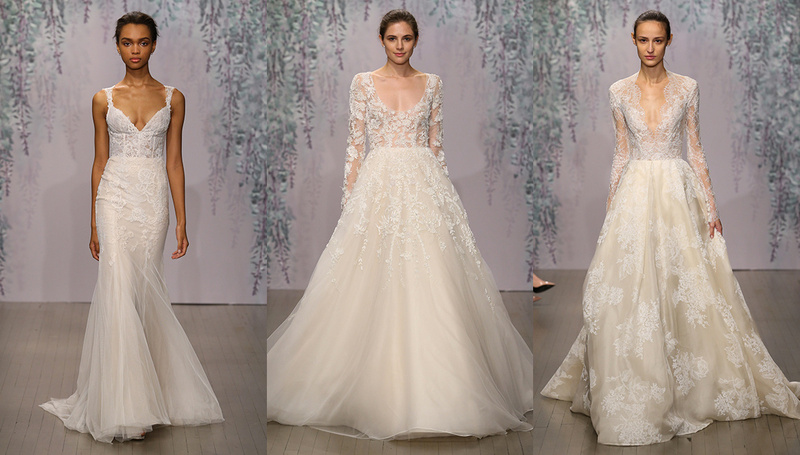 Lela Rose presents a typically romantic wedding dress for Fall 2016 Bridal week. The delicate style is completed with lace flowers, embroided bustiers and mermaid skirts. 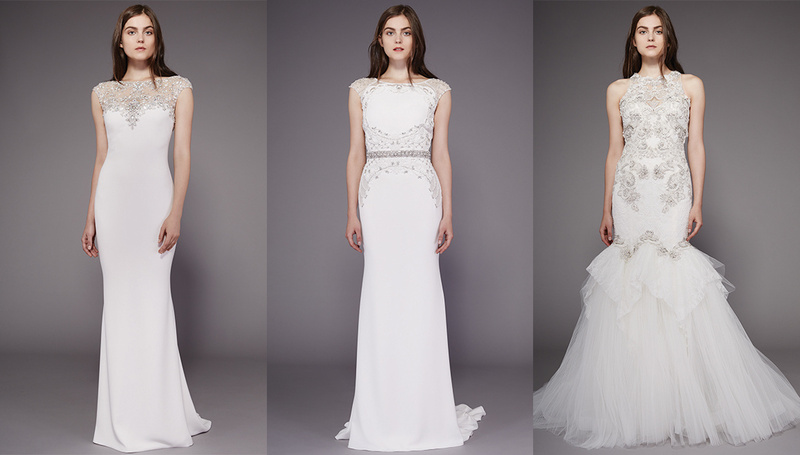 Monique Lhuillier arouse the pouplar trend for this season. That is the rustic trend. All the dresses are just as beautiful as a flower garden. And the designer shows her talents by making various pretty dresses in different lengths.